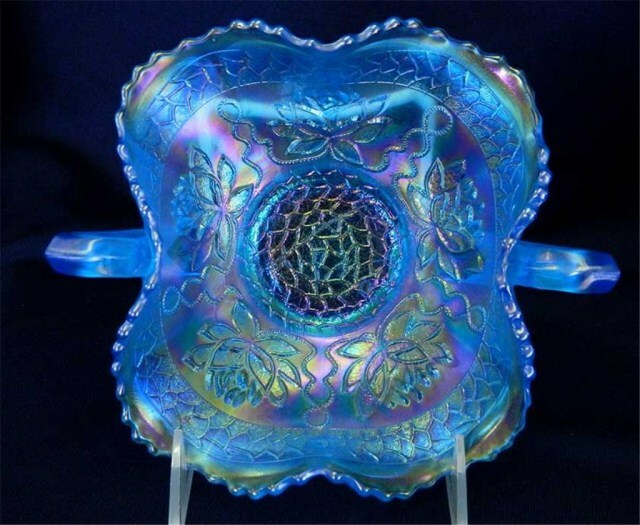 Pond Lily is one of Fenton's less frequently seen patterns and found only in bonbons. 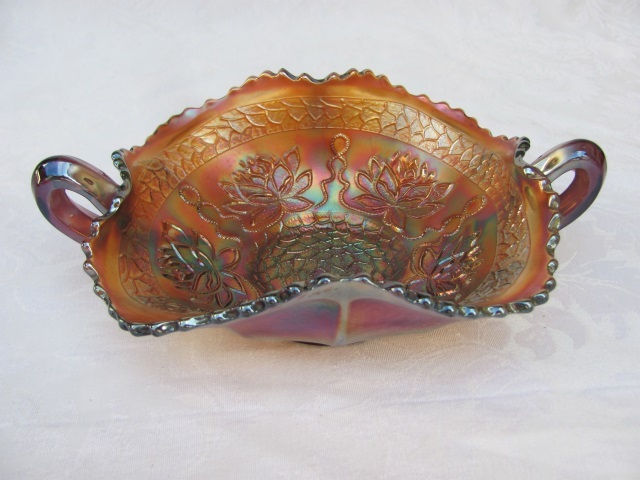 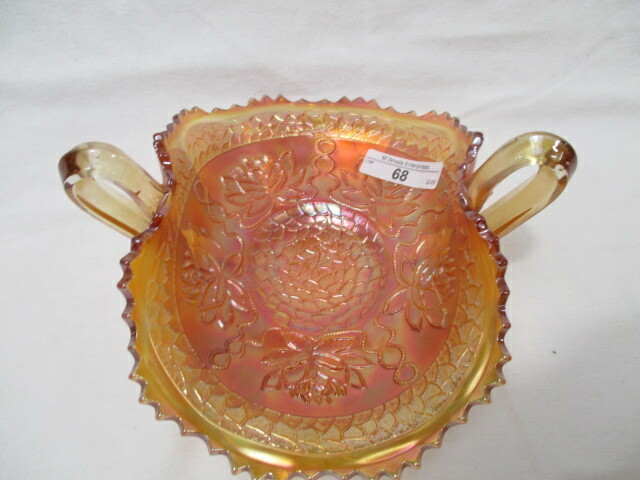 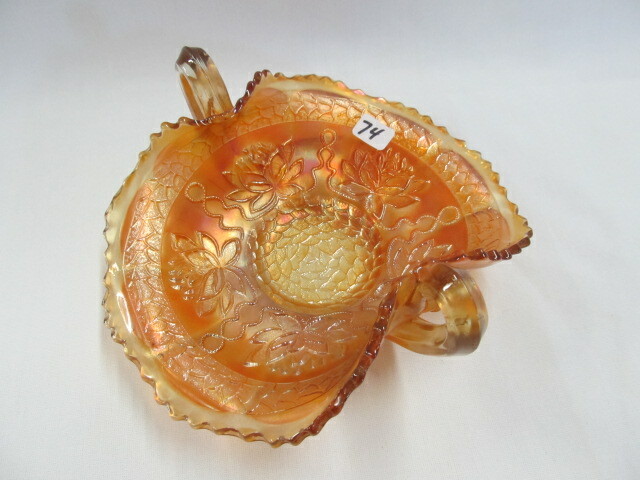 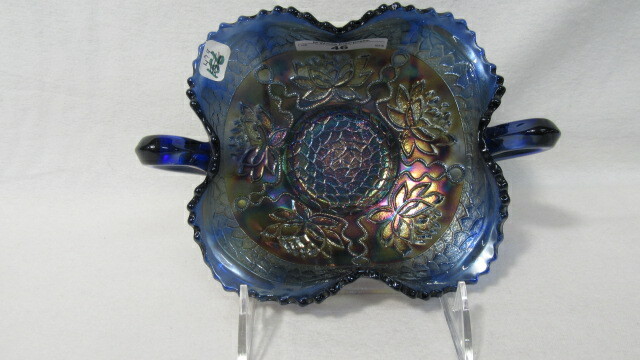 It has a wreath of pond lilies around the center and a ring of Fenton's scale band pattern circling the edge. 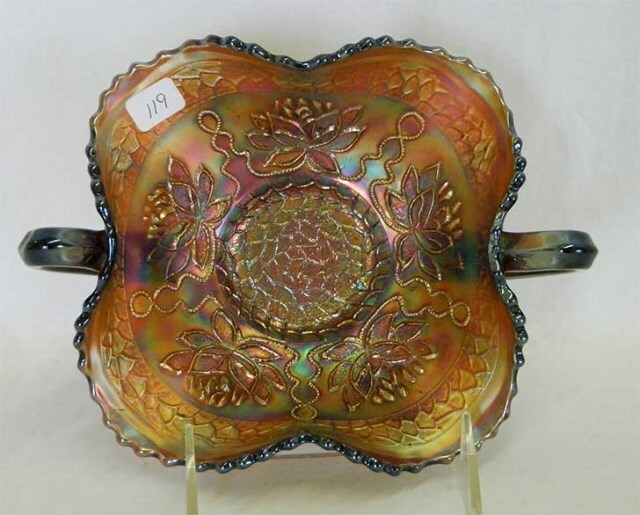 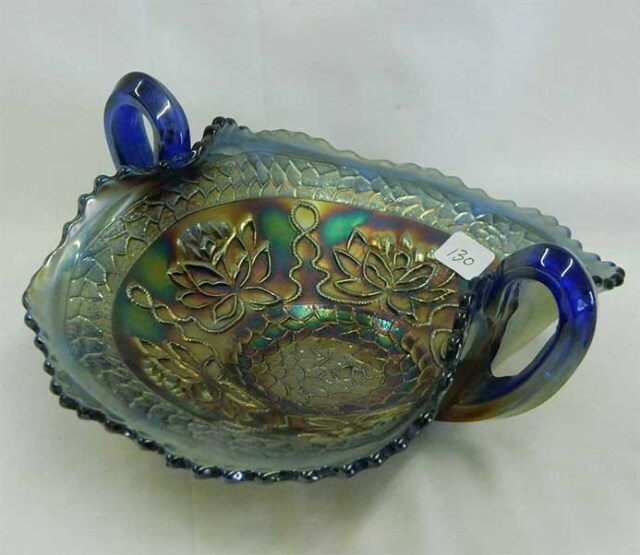 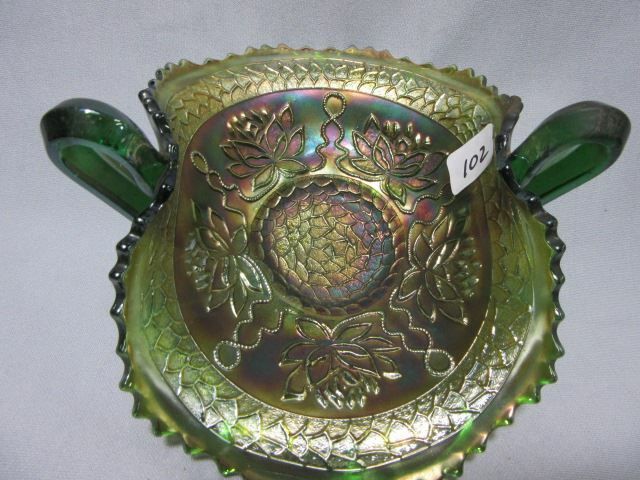 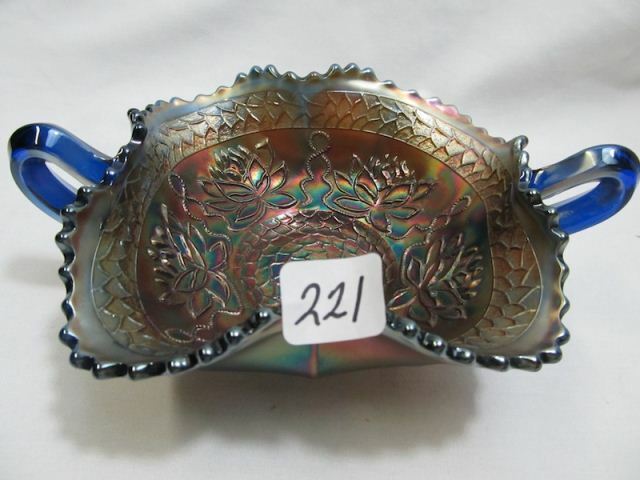 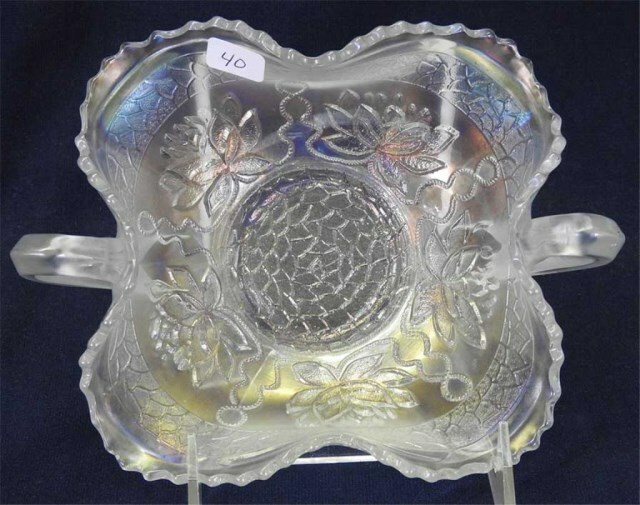 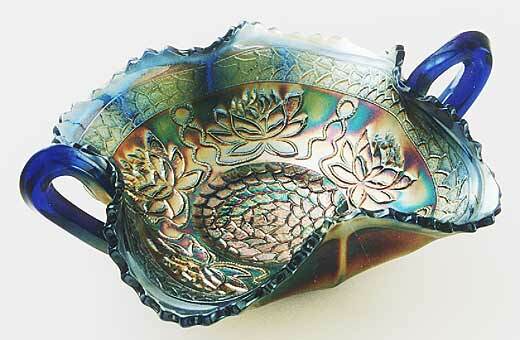 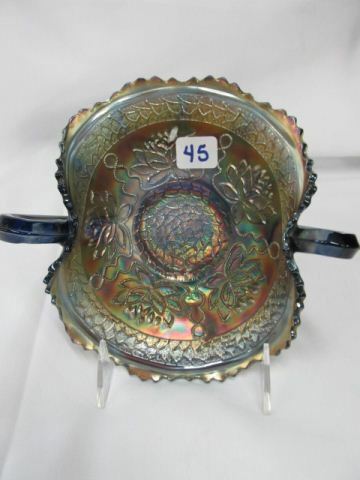 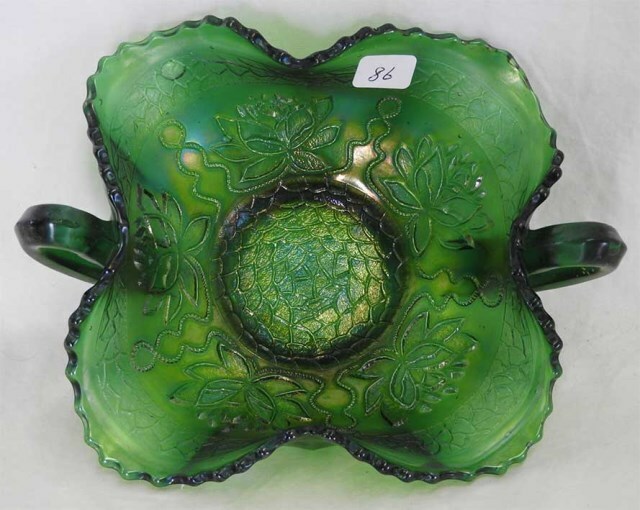 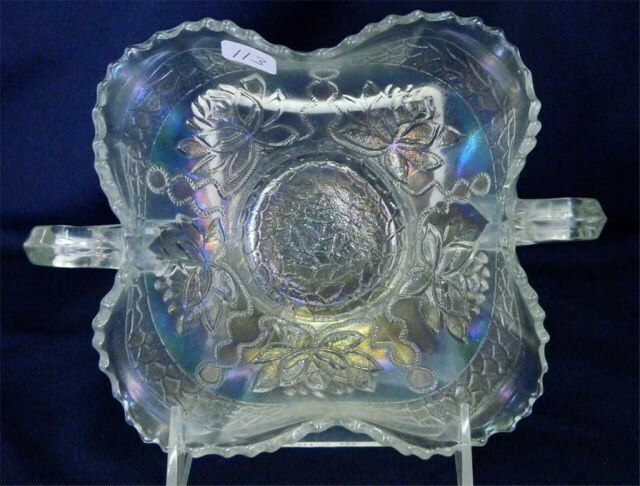 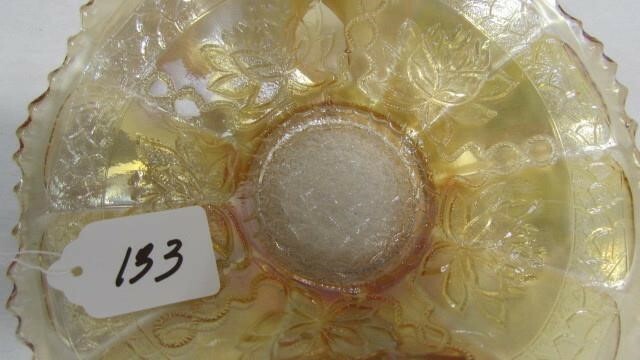 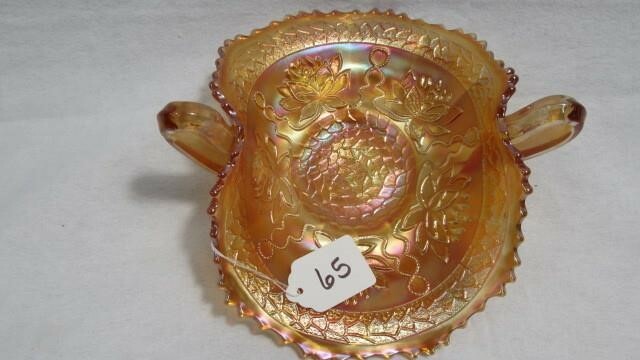 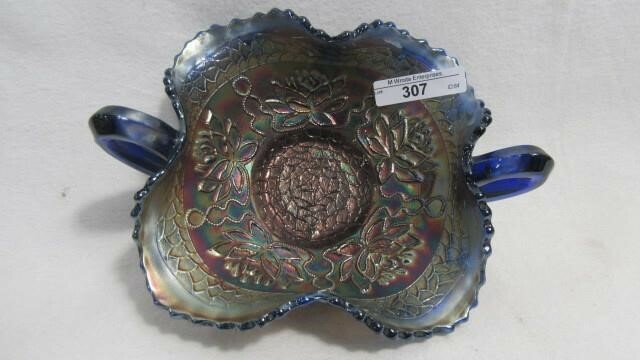 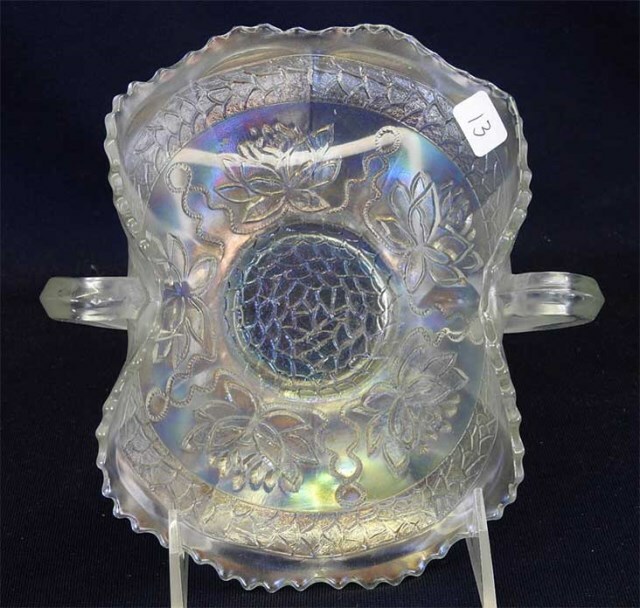 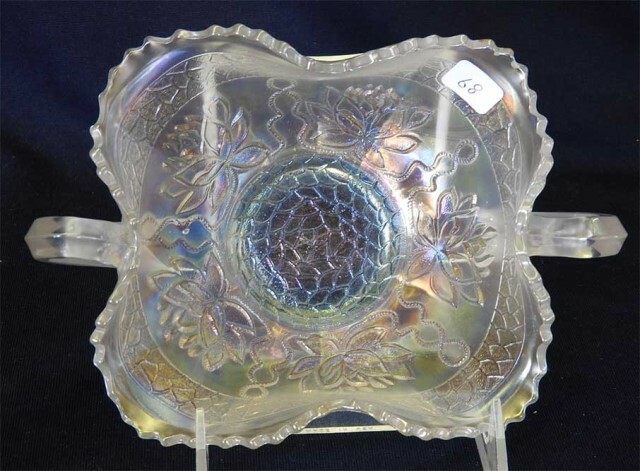 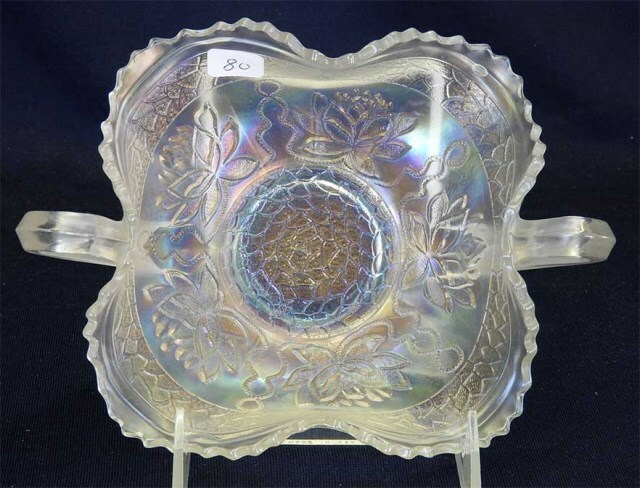 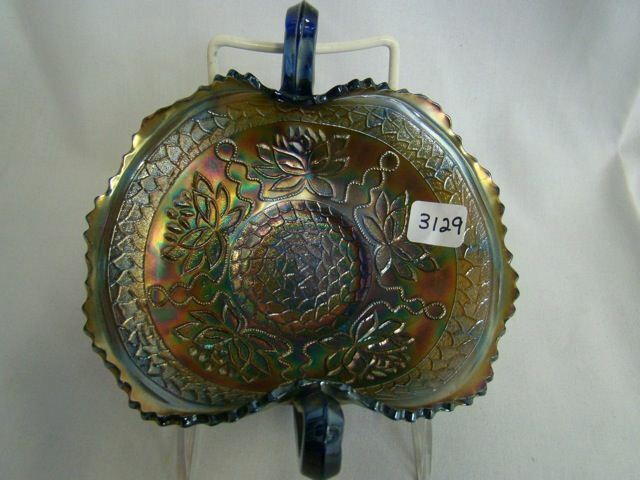 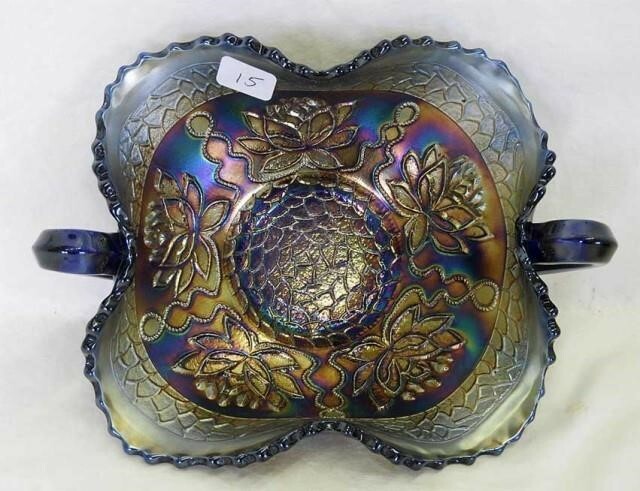 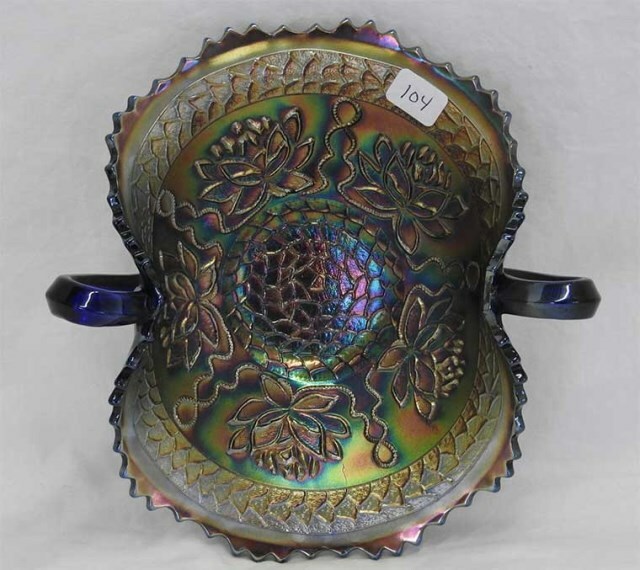 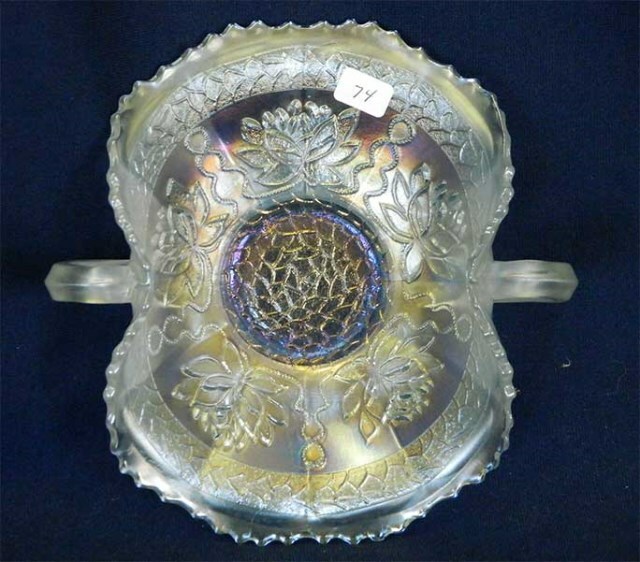 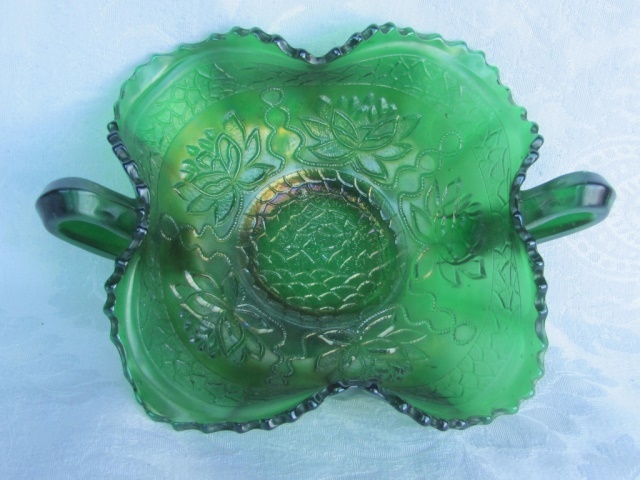 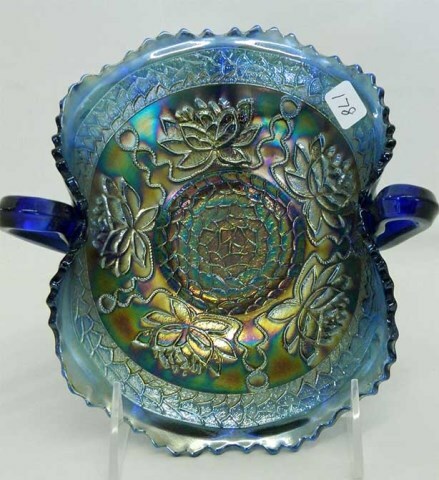 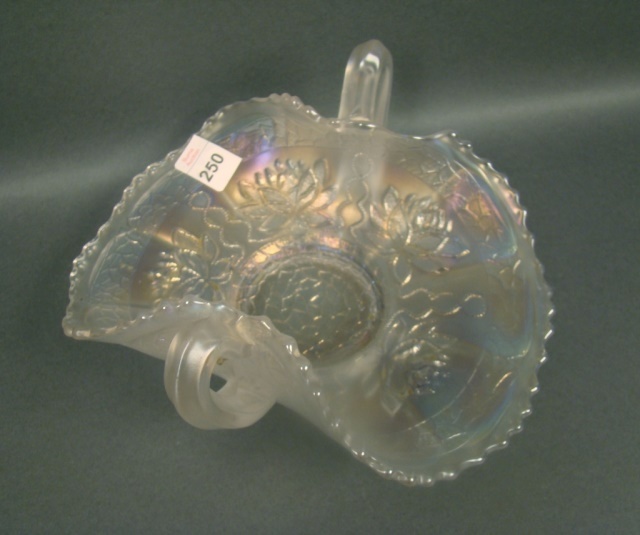 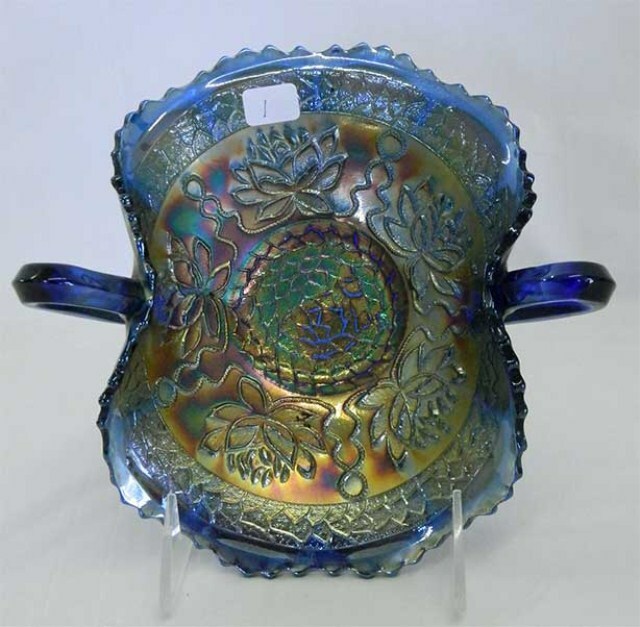 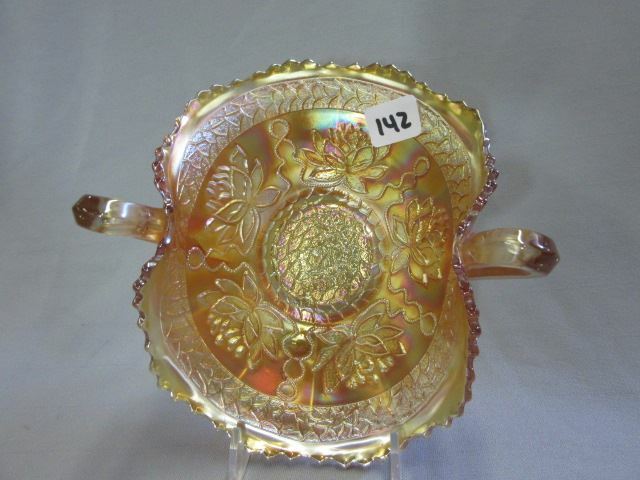 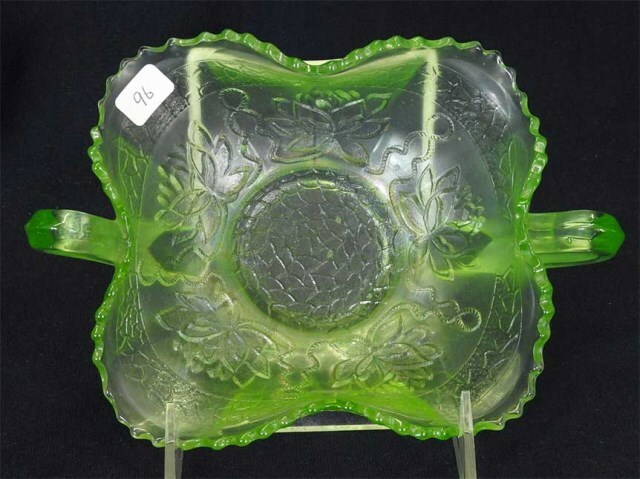 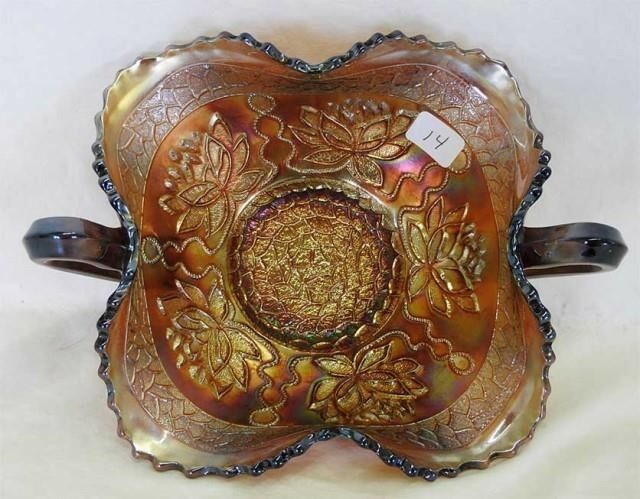 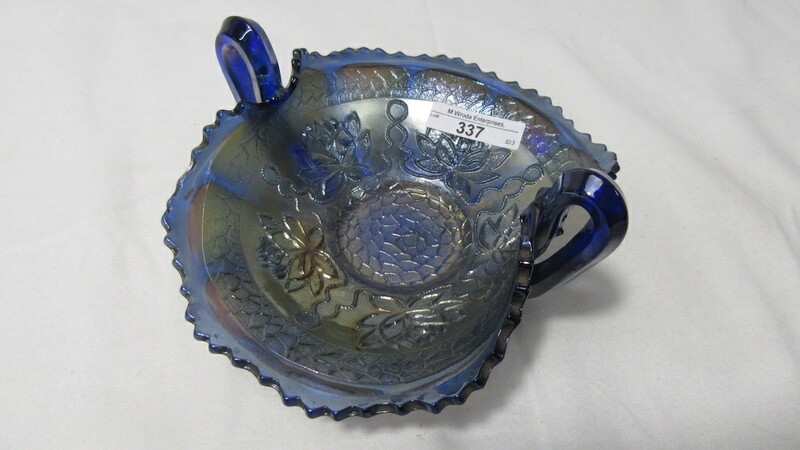 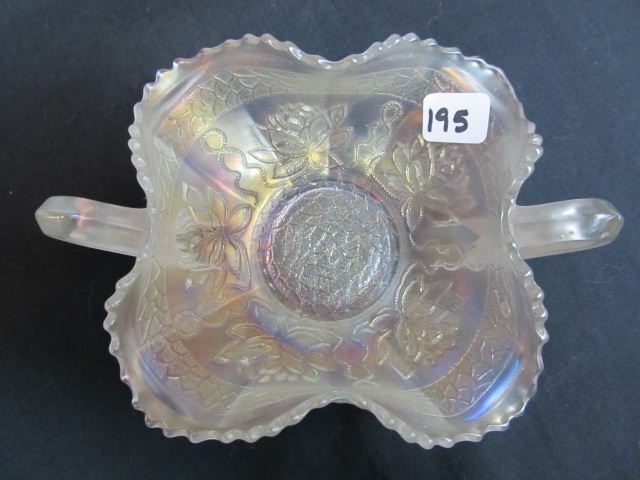 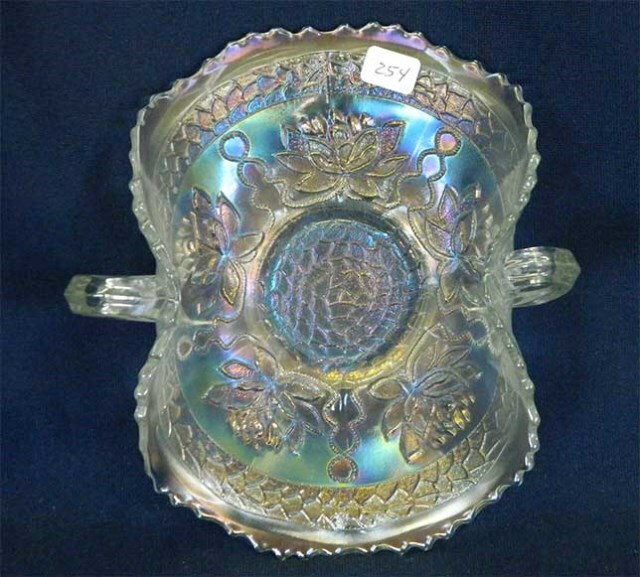 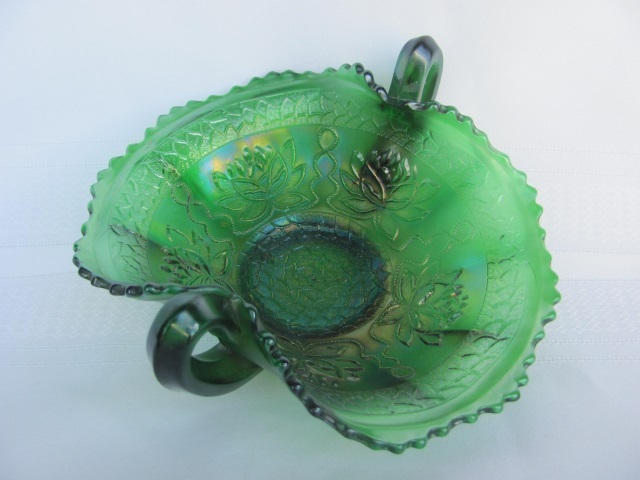 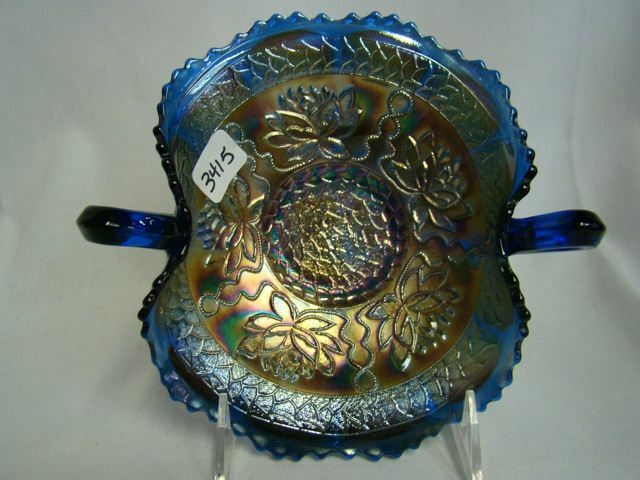 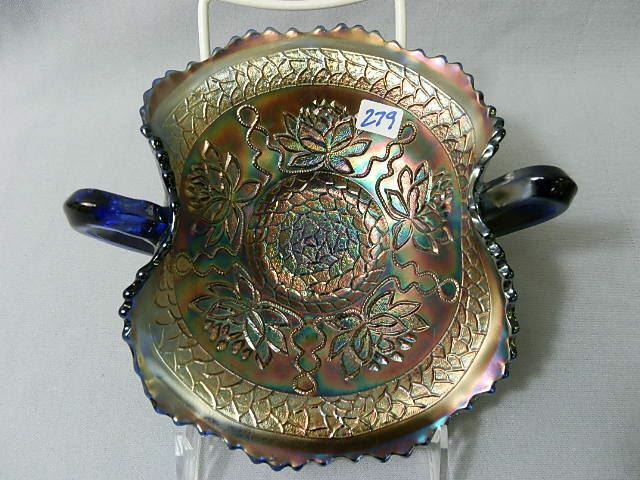 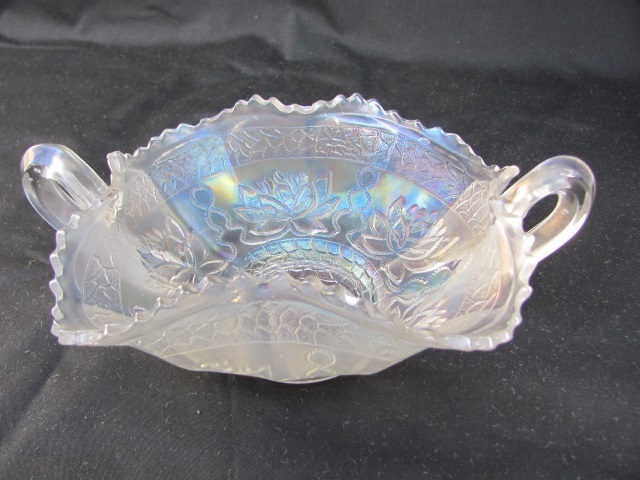 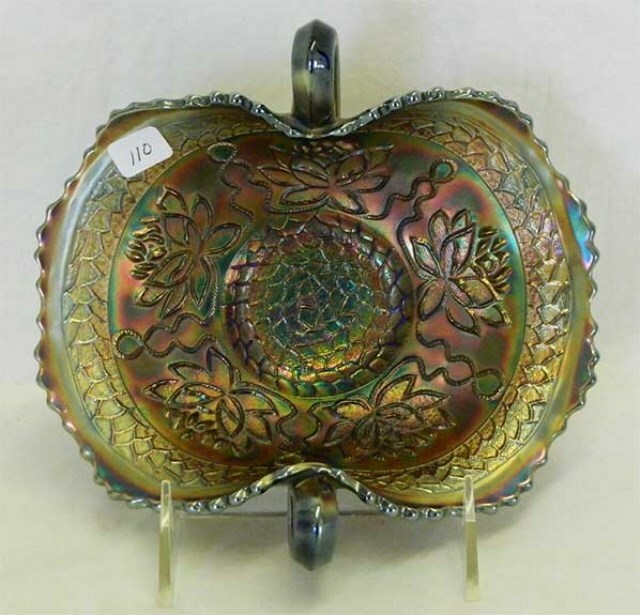 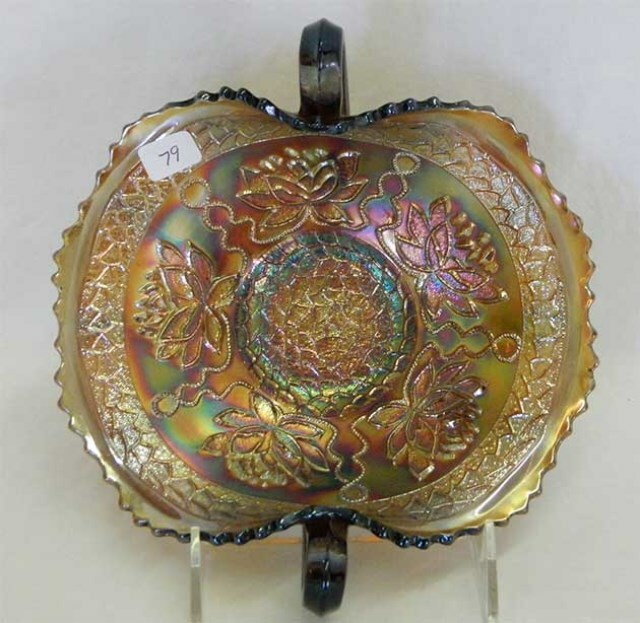 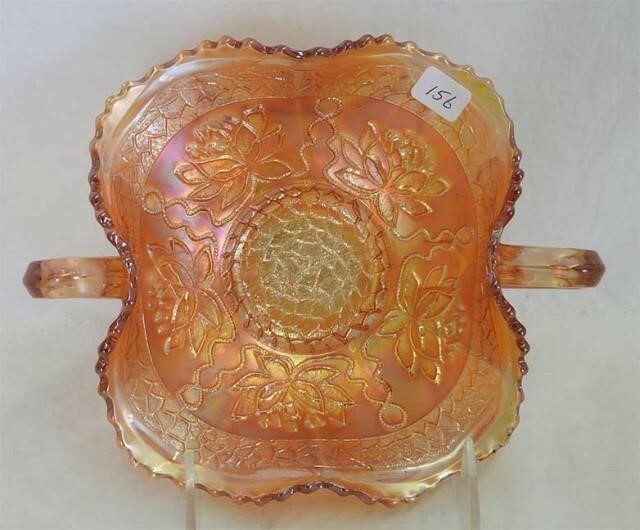 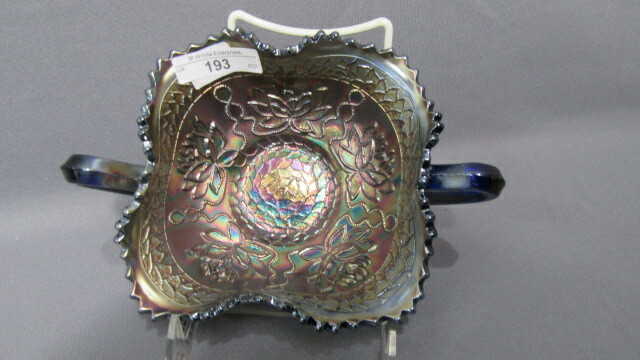 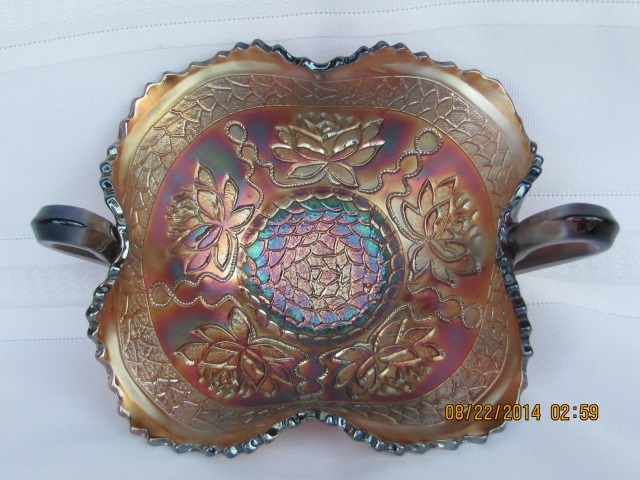 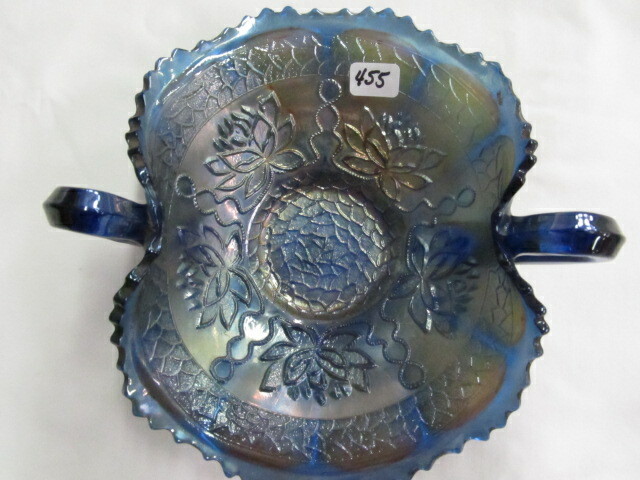 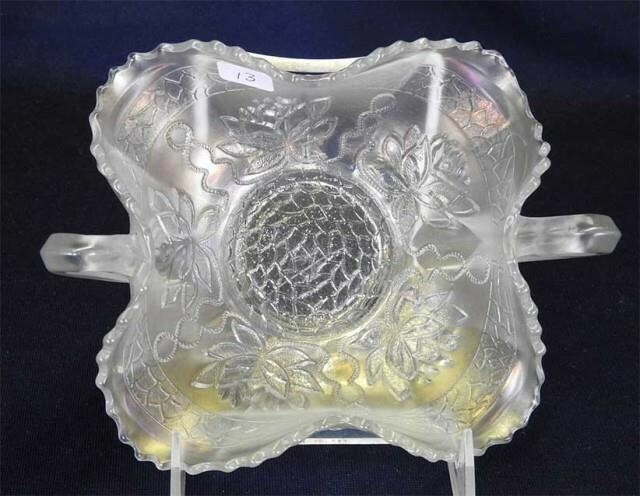 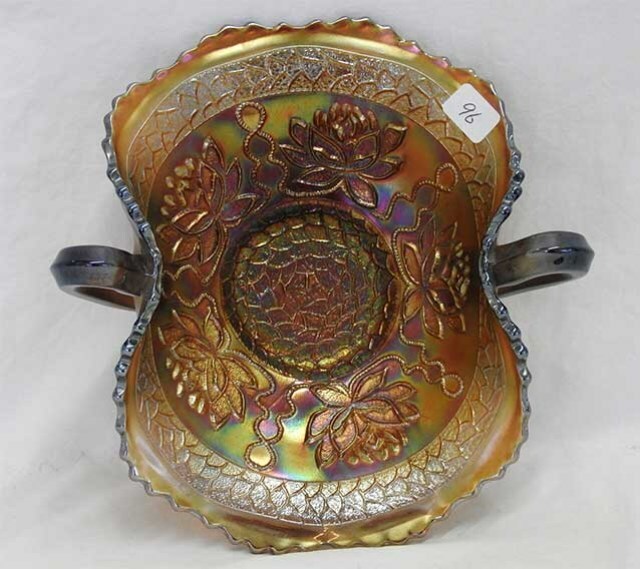 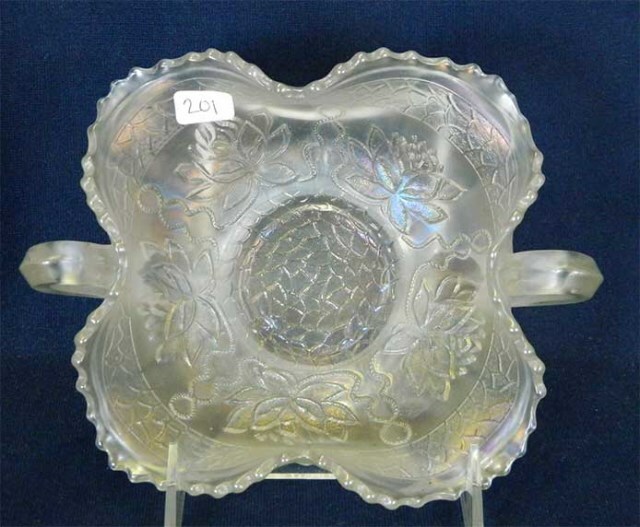 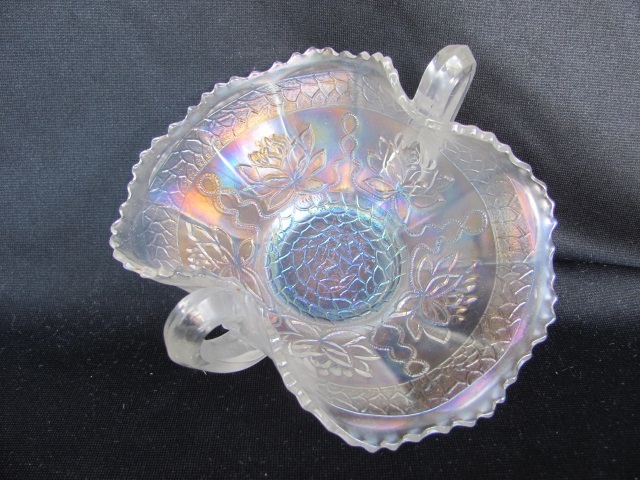 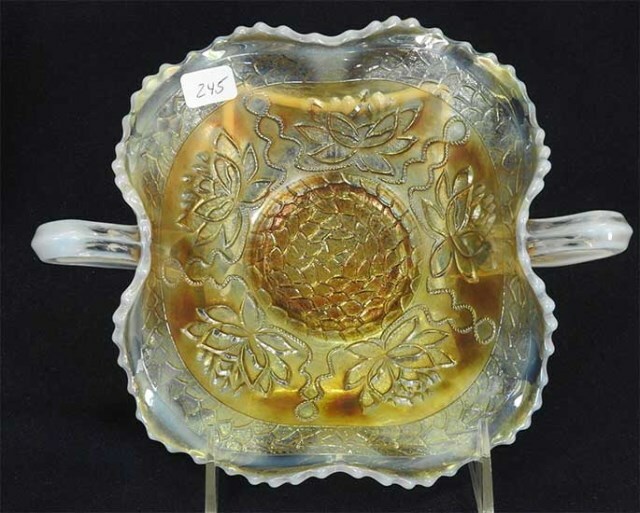 Though similar, it's not Fenton's Water Lily pattern.